Most importantly, I have a new website and blog! 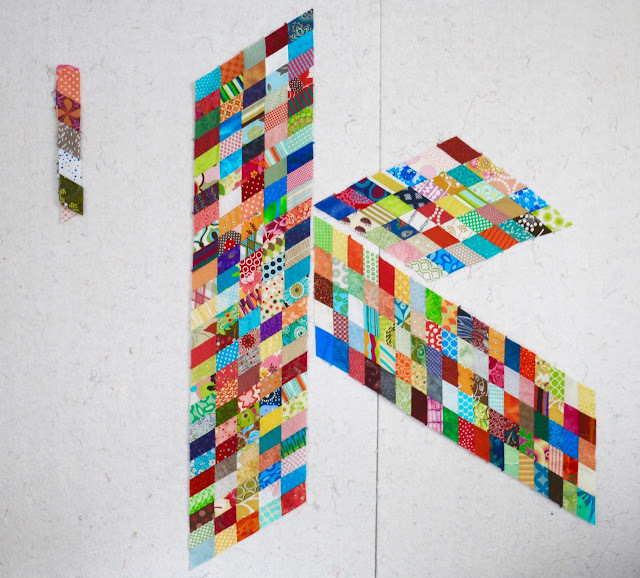 First post is up today and it is all about my time judging the quilts at Quiltcon. Just so you know, that is where I will be blogging from now on. I will put a redirect on this site shortly, after I migrate all the content to the new blog. I still want everyone to be able to find all the things. Hopefully the new site helps with that too. 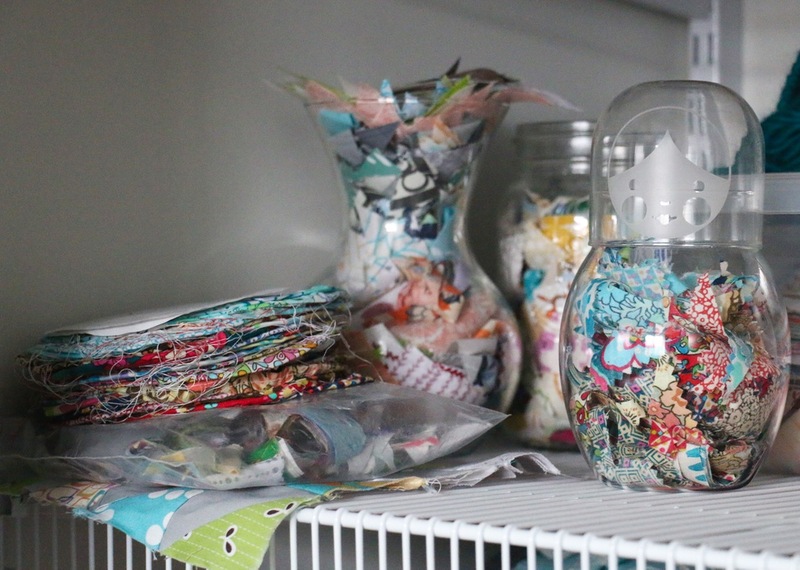 Have you heard of The Splendid Sampler Sew Along yet? Don't worry if you haven't, I'm here to share all the details. 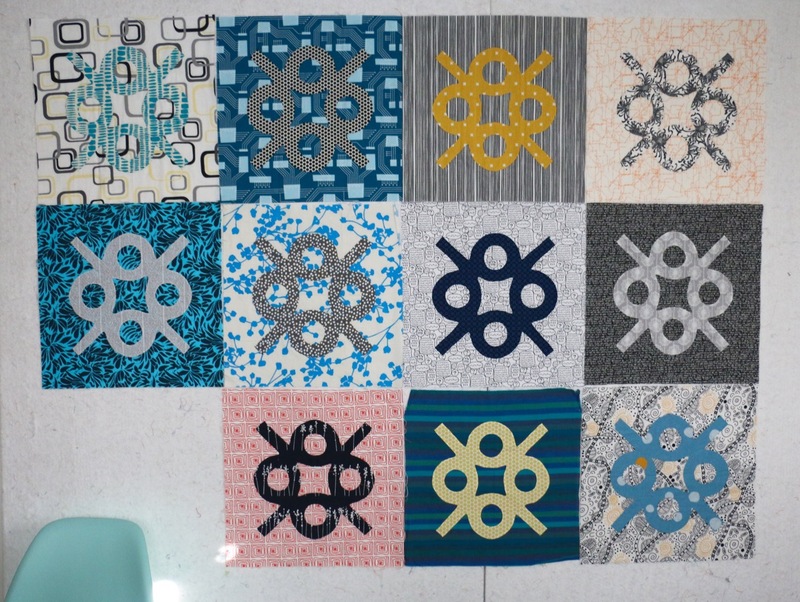 Pat Sloan and Jane Davidson put together a group of quilt designers to showcase their skills on some small blocks. Put all the blocks together and you have 100 blocks for a refreshing sampler! Every week for a year two block patterns will be released. You can make as few or as many as you want. Use any fabric you want. Bonus - it is ALL FREE! To the designers Pat and Jane asked us to design a block that reflected happiness in our quilting. Such sweet directions. 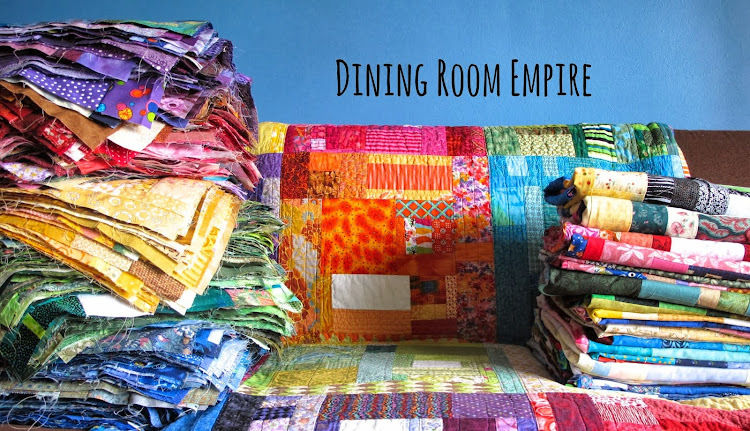 And boy, does happiness in quilting mean different things to different people! For example, my block has some low volume, some improv, some appliqué. Other blocks have tiny piecing, some have paper piecing and embroidery. There is basically every technique under the sun in the sampler. I'm not sure the tiny piecing will make me happy, but I'll certainly try it! Each block ends up at 6 1/2'' square. A manageable size to get two done a week, or a few in an afternoon. I've started making my blocks out of my scrap bins. So far I've stuck with yellows plus black and whites. We'll see if I stick with that. I'm totally open to seeing where this goes. If you are interested in joining along, or even just following progress, the first block pattern releases this Sunday, on the 14th. And it is a perfect Valentine's Day block! 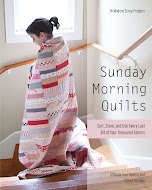 You can get all the info on The Splendid Sampler website and join the fun on the Facebook page for the group. Loads of inspiration there! 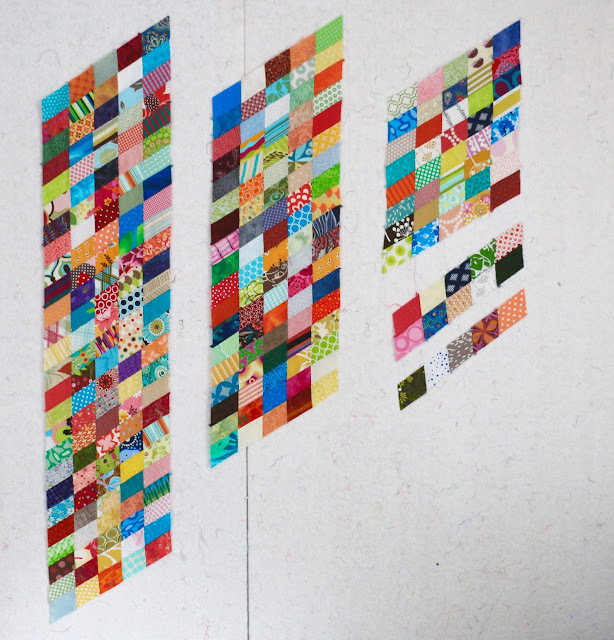 I will keep you posted - like I do with all my quilts under construction - on my blocks as I go. I may not keep up, but I'm challenging myself to make all 100. This is definitely a year for working outside my comfort zone. Why not?! Oh, and if you are wondering, my block is one of the last ones! So you are going to have to hang on for a while to see it. The good thing is that these blocks don't actually take that long to make. I should time it, but I would say a few hours each from fabric selection, cutting, basting, and then stitching. So, not fast, but not really that slow either. If I only made one more it would actually be a perfect lap quilt but I have this in mind as a potential wedding present down the line, for a couple that aren't even engaged yet! That's why I want it bigger, bed size. Thankfully, I am not getting tired of appliqué at all. This is an old one! I started these hand pieced diamonds back in 2011. Woah. For a few years it was my go-to hand project. Never a complaint about doing them at all. Then handwork fell to the side as my baby boy got bigger. Then I discovered appliqué. I'm sure I haven't sewn a stitch on this in at least 3 years. In my recent clean-up of Quilts Under Construction I pulled these out for closer inspection. I even pressed them for the first time. Oy. There is a lot of mismatched seams. Oh well. And clearly I kept cutting them bigger because the more recent section does not match the original section at all. That's because I didn't use the same template throughout. I just grabbed a random diamond every time I needed to make more. Oh well. Now I think it might be time to turn these into something. I did quite enjoy the hand piecing so I am going to continue with that. But first I have to decide on a layout. Something like was my first instinct. That way it doesn't matter if the diamonds don't line up. Or maybe pull that small section out a bit further? And do something with those extra bits currently just pinned to the wall on the left. Then I thought of doing something like this. Quite different. And now those extra bits could find a home. Or not. I'll let them sit for a bit, but hopefully not five more years! When I'm in the sewing room I often like to have something on to listen to. Not watch, listen. If I'm watching something I get too distracted. A lot of the time it is music that I love, but when I have cutting or binding or something where I'm not using the machine too much I like to listen to podcasts. There are a tonne of great podcasts out there, on all sorts of subjects. Of course, my go to ones are crafty! Here is a list of my favourite crafty podcasts. Stephanie Kendron hosts interviews with your favourite sewing celebrities. And I really like that you get to know a lot about her in the preambles to the show as well as the interviews. Pat Sloan is an icon in this industry. 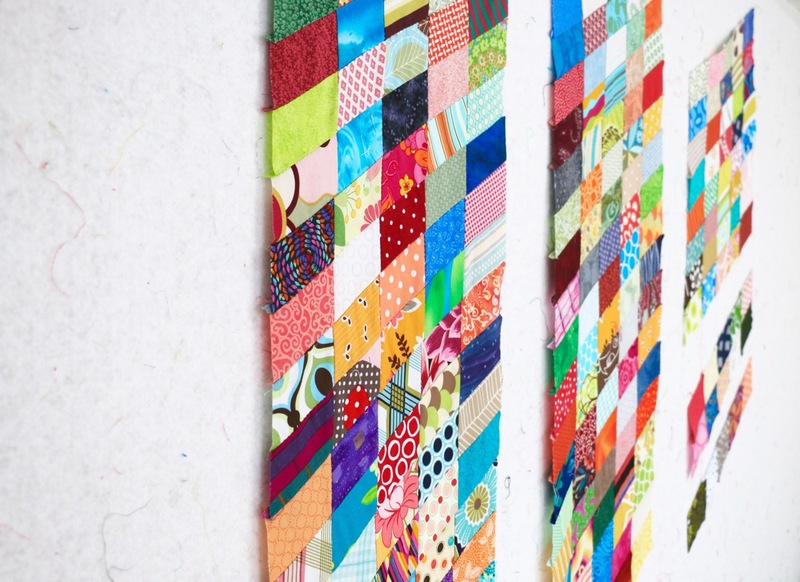 Her unabashed enthusiasm for all things quilting and sewing shines on the show. Sandi Hazelwood's conversations with her guests are so thoughtful, yet it feels like a relaxed conversation. I always look forward to new episodes. Abby Glassenberg covers far more than sewing in her podcast, but it is wonderful to get some different perspectives from similar industries. A tie in to the Seamwork magazine by Colette patterns, Seamwork Radio tackles storytelling in a very different way when it comes to sewers. It always has me thinking. Mark Lipinski has been quite sick so there aren't any new episodes, but the archives are worth a listen. It is so inspirational, regardless of the stitch craft on the art and necessity of slowing down. Jennifer Ackerman has a huge library of podcasts with crafting stars. 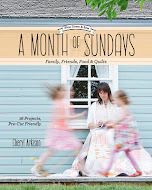 It is about much more than sewing so I find continued inspiration among people I might never have encountered before. Meighan O'Toole is no longer recording shows, but definitely take a look at her archive. Some unexpected treasures in her interviews. There are more podcasts out there, so if you listen to other ones, please share them in the comments. I would love to know what you listen to! 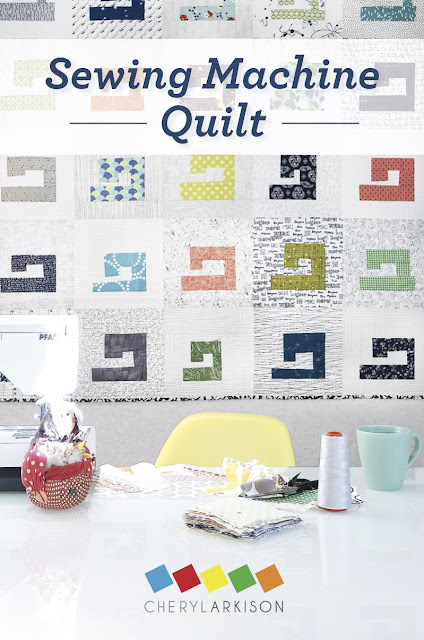 Sewing Machine Quilt Pattern Launch! Announcing my latest pattern - The Sewing Machine Quilt! It is available in print and PDF. Contact me for wholesale orders. 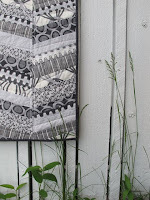 This was the quilt that brought me out of a big creative slump. I was struggling to get going and find joy in my piecing, I was burnt out. A teaching gig came along and changed everything. It was an Improv class at Quilt Canada, a most traditional of shows. My students came with open minds and a spirit of adventure. They completely changed everything for me. At one point in the class I always have them throw out ideas for shapes we could piece improvisationally. Just like an improv comedy show! Someone suggested sewing machine. Yes, a sewing machine. I got so excited by the idea that the day I came home I think I made a half dozen of them. It was game on after that. I got excited to create again. If you would like some guidance with Improv or more on the thought process on a pattern like this check out my Creative Live classes on Improv Basics and Translating Inspiration. With piecing options and all the directions to get you going any which way you like this pattern acts like a guide. It is a love letter to the main tool in our quilting arsenal. When you have almost 40 quilts on the go you have to find a way to store them before they become quilts. And my sewing room is far too small to let them take over. And I am not one to thrive in a messy work space. So here are my storage solutions. My cutting table was purchased with all the storage in mind. The top shelf contains bins with active projects. If I need to grab something or only have a few minutes to play this is where I go. The bottom shelf contains all my scraps, colour sorted in bins - the pattern is the quilted storage box from Sunday Morning Quilts. 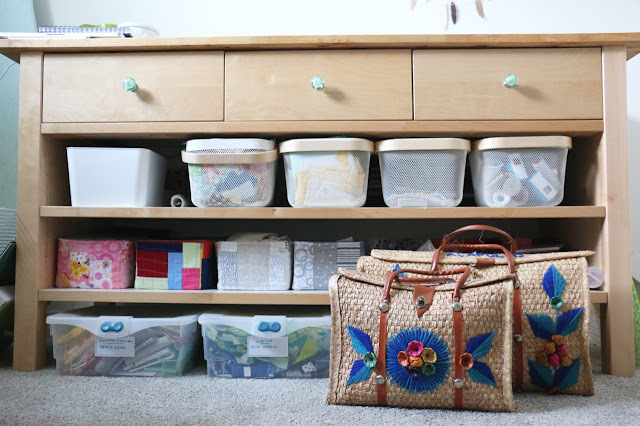 On the floor (usually tucked under the shelf) are plastic bins with class samples and other projects. I recently labelled them and this was an awesome move on my part. No more guessing! In front there, but usually tucked to the side are some straw bag my mom once picked up on a trip to Acapulco. They are perfect for storing projects. Plus, they look cool and can be moved around the room as necessary. I am lucky enough to have two full size closets in the room. One has my stash. The other has batting (all those messy scraps on the bottom right), garment sewing stash, my patterns (not visible) and then projects. On the top shelf there are the quilt tops (with their backs or fabric for backs) folded. I have no hanging space otherwise I would hang them. Then it is all projects sorted into piles - for bigger and more active ones, bags, and bins. I recently sorted through them all and this is actually quite neat and organized, even if it may not appear so. 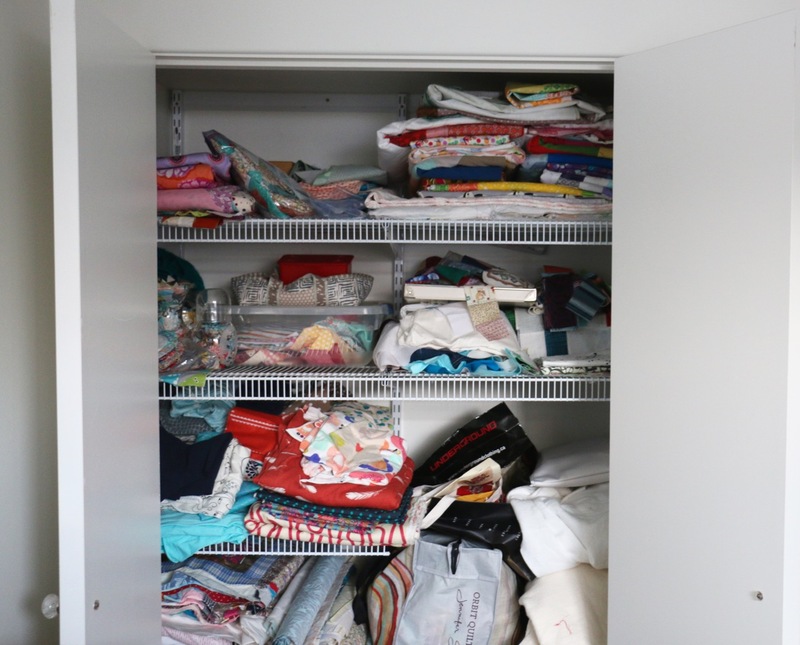 One little spot in the closet holds some particularly small scraps and a stack of Liberty circles. I keep them front and centre just because they are pretty. And hopefully will motivate me to play with them a bit more. It's a small room, but it is all mine! I've had to get disciplined about storage or else I would never actually get anything done. And now, no matter the mood nor the time, I have easy access to anything I could want to work on.